Initially offered in Fall 2011, Introduction to Sustainability (SUST 201) was the first three-college collaborative course co-taught by faculty from Babson, Olin and Wellesley. The course is part of the new three-college (BOW) Sustainability Certificate Program, which introduces students to useful skills, tools, and concepts for addressing environmental challenges and developing new sustainable practices for individuals and society. Beth DeSombre (Wellesley), Bradley George (Babson), Jonathan Stolk (Olin), and Benjamin Linder (Olin) designed the class projects to introduce students to important spatial and data visualization tools used in the industry and to enable them to critically evaluate resources in sustainability assessment and design. 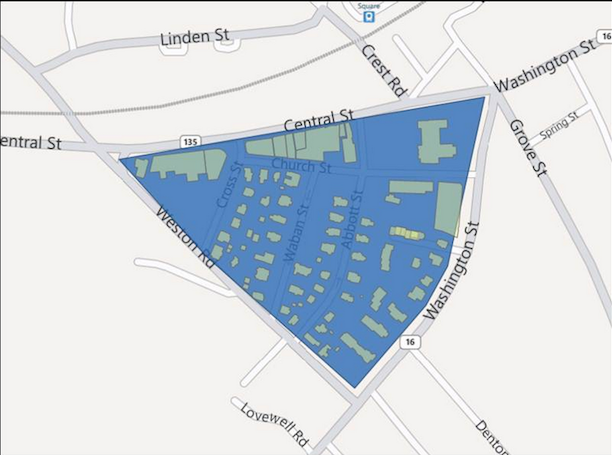 Projects throughout the semester focused on a specific city block in the Town of Wellesley in order to provide ‘real world’ empirical data to apply concepts and tools learned in class. Students attended a ‘GIS bootcamp’ workshop taught by Instructional Technologist Carolin Ferwerda (Wellesley) in order to learn how to use geospatial technology, including GPS units and geographic information systems (GIS) software. Students learned GIS basics and how to create maps using the software, and how to analyze and become familiar with available spatial data for their study area. Through these projects, students developed a thorough understanding of the sustainability practices within the city block. The course culminated in a public poster session to showcase the students’ ideas for improving sustainability in the Town of Wellesley. Learn more about this project on the Wellesley Wire.